Origin: Pacific Northwest, Kwakuitl. 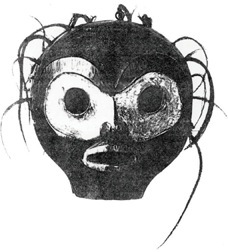 The historical name for this mask is Dolemxitila. 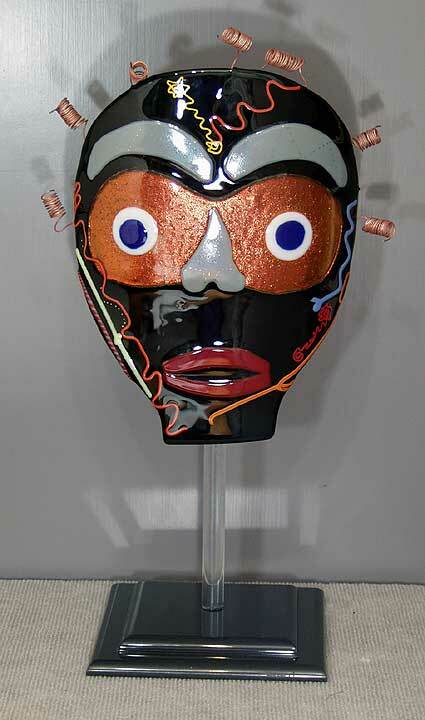 It was probably a "benumbing mask," and most probably appeared in Hamatsa Society dances. It was thought to originally be the head of a puppet. Size 91/2 x131/2x 3. Done in black background with various highlights . Example of the Puppet Head.